Does anyone know if this is this a FY 2018 airplane, as in 18-5863? Thanks in advance. Don R.
Larry, you're thinking of Johnny's, just past the railroad tracks on the right. I just about lived at that place during my first assignment there (1967 -- 1970). He was Austrian and had a girlfriend named Liz, I think. About a quarter mile past that was a restaurant that served the best jager schnitzel. You were on the A-models there, right? It's a long shot, but did you ever know an FE in your unit named William (Bill) Cord? On my second assignment there (1977 -- 1983), he was our first sergeant in the 37th TAS. Don R.
Hi Jim, Mitteldick's sounds very familiar, but like you said. I doubt if that's the name. I think it was in Zepplinheim. Have you checked out the air base on Google Earth? The only familiar sights are the hotel and the star-shaped buildings where the mail room used to be. Even the building where the American Legion used to be in Waldorf is an empty field now! Have fun and get some pictures. Don R.
Yes, it was an interesting article. Thanks for sharing. I'm glad he didn't publish the location. As usual, I found some mistakes in it. For one, there are/were no fighters based at Mildenhall. I've read that the fighters scrambled were from Lakenheath. Don R.
OK, In my opinion, you've both beat up this subject enough. Just let it go; it's getting pretty old now. Merry Christmas, Don R.
You might be able to if the locking mechanism on the military version window lines up with the commercial version locking device on the window frame. Don R.
To get FAA certification, it was required that the civil version had to have 3 positive locking devices on each swing window, whereas the military version has just one locking device. The NESA systems are identical. Don R.
From what I've been told, Lynden bought all of Safair's Hercs, but kept the Safair name and infrastructure with the exception of ZS-JIZ. It had to do with some South African political problems. Don R.
Did anyone else watch the pilot episode of "Manifest?" I don't now if they had a technical adviser or not; probably not. The first 737 scene in flight is a -300 series or higher because of the flattened lower engine nacelles. In subsequent scenes on the ground, it's an older model. Then in the inflight cockpit scene, it shows a 3-engined airplane instrument panel. I don't think it was a 727 -- didn't notice any fire handles. And finally when ATC asks the captain how many passengers he has on board, he replies, "191." Puleeze, give me a break. The normal passenger configuration for a 737 is around 130, more or less, unless it's a stretches model. Interesting show otherwise. My girlfriend hates to watch aviation oriented movies or TV shows with me for obvious reasons. Don R.
It's been 51 years since I've been on the B-model, but I don't think that's a B-model with the Rosemount pitot system and the LOX service door. Just picking a nit here. Nice pic, though. Don R.
Yep, Larry, that was my first thought -- a flying crch, but all the B-66's at Korat took off and landed back at the same base. Also, these planes were flying over North Vietnam. Don't think they'd allow a crew chief to tag along. When you mentioned your duties as an A/3C, you omitted the wash rack. Spent a lot of time washing the bellies of a lot of B-models. Don R.
I don't remember where I saw this, but it's interesting. Displayed at the USAF Museum. Check out the rank of the first FE. 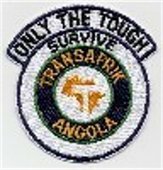 I flew with an old A-model captain when I was an FE with Transafrik in Angola. He enjoyed telling the story of departing somewhere in the very cold icy north. The funny thing is that he departed with the parking brake set and when he landed at Pope AFB (I think), he blew all 4 mains! Before you ask about the anti-skid light, I also asked that question. He said the early A-models had no anti-skid inoperative light. Some of you old heads may remember Bonzo Von Haven -- a legend in the Herc world. Don R.
I saw another photo of this Algerian Herc on some other web site. It showed the forward fuselage laying on the copilot's side with the NLG extended. Does anyone know where I saw that photo? Thanks, Don R.
I have a very old MAC Manual 66-4 dated 17 November 1965 titled Aircraft Markings and Insignia. I don't know if it's still published or not. I scanned a couple of pages from it -- maybe they will help. Don R.
Thanks, Jim. It worked. Don R.
I sent a Herc pilot friend of mine the takeoff video. He said it looks like #1 prop isn't turning. I can't see it, but my 74 year old eyes miss a lot these days. Anyone else see it? Don R.
Interesting. I am also a member of a DC-10 group. The webmaster there forbids any mention of any DC-10 crashes or incidents with the threat of immediate expulsion from the group. I think he's an ostrich. Don R.
What a shame! Not sure, but I think he was in his mid-60's. We corresponded a lot. I never met him face to face, but I considered him a very good friend. What a wealth of knowledge lost. Here's a photo he sent me from is military days. He's in the white t-shirt in the middle. Don R.
From 1967 to 1970, I was on the C-118's at Rhein Main. The fuel boost pumps were in the MLG wheel wells. To clean the engine exhaust tracks, we'd disconnect the output fuel line and attach a small hose and nozzle and turn on the pump and wash down the exhaust with 115/145 avgas. Then, when I got out, I worked for Eastern Airlines in Boston. I started out washing the Connies and Electras there. We washed them with Varsol which was in a tank on a small trailer with a pump. To service that tank, a fuel truck would pull up and fill the tank. Can't remember whether it was 115/145 or Jet A-1. Don R.
The last I heard, it was at Nashville, TN, but that unit transitioned to something other that the C-130. 4132 is a pretty old airframe -- I would imagine it's parked at Davis Monthan AFB or broken up by now. Don R.
Tiny, it was called a called passing light. It was used if you had oncoming traffic you could turn it on to be more visible. The T-29 without the radome also had one, as did some C-47's. Don R.